Over 87 buildings, landmarks, and businesses across the US and Canada will be lit purple on Saturday, April 13th and surrounding days to raise awareness about sarcoidosis, a rare disease with no known cause or cure that affects an estimated 1.2 million people worldwide. 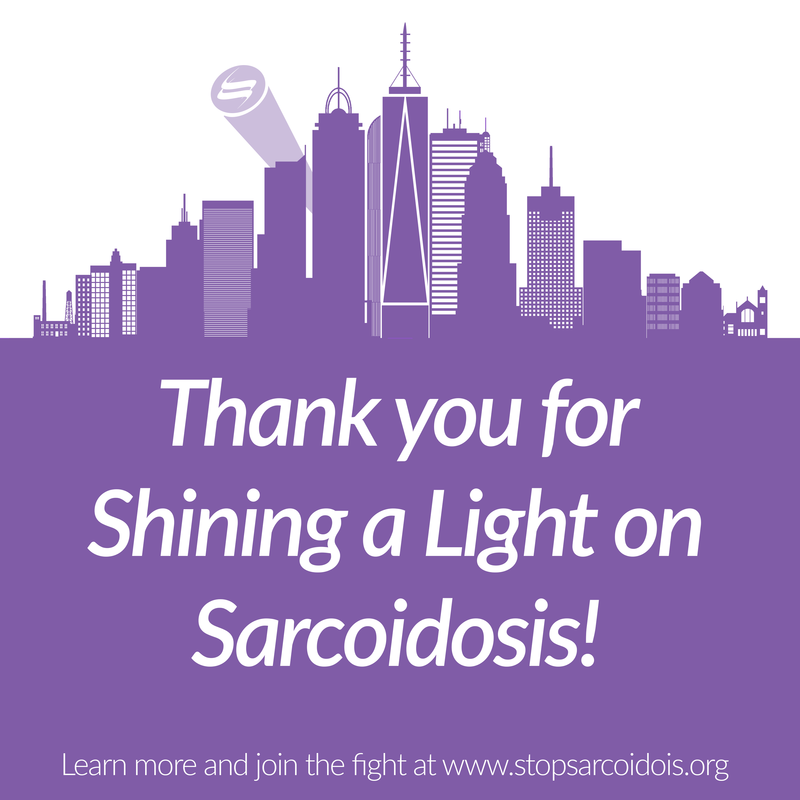 The initiative’s first lighting partners, the Durst Organization and One World Trade Center in New York City, inspired an international movement in which volunteers, including patients, invited lighting partners to also shine a light on sarcoidosis. In this inaugural year of the Illuminate the Night initiative, One World Trade Center and the skylines of at least 33 US states and 2 countries will be lit purple throughout April alongside many other activities within Sarcoidosis Awareness Month. Photograph the landmarks, wear purple and share your photos. Advocates are encouraged to wear purple on April 13th, World Sarcoidosis Day, and to share their photos on social media. If you live near a lighting partner, please take and share photos using #LitforSarc to increase the impact of this project. Download and share this image to share via your Facebook, Twitter, or Instagram. Tag our lighting partners to thank them for shining a light on sarcoidosis! We need your help! 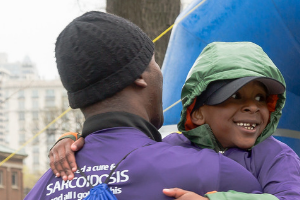 Sarcoidosis is a potentially deadly disease that continues to devastate thousands of people. Our donors are critical partners in the fight to find a cure. FSR is a registered 501(c)3 non-profit organization. Your contribution is tax deductible to the full extent allowed by law. Make a donation or start a fundraising page today. Follow us on social media to stay informed about all our efforts to advance research and increase awareness for sarcoidosis. Change your Facebook profile frame and download our tools for social media to make your friends aware of sarcoidosis and share your #sarcoidstories!